This card is made from the "Stylish Seasons" collection. 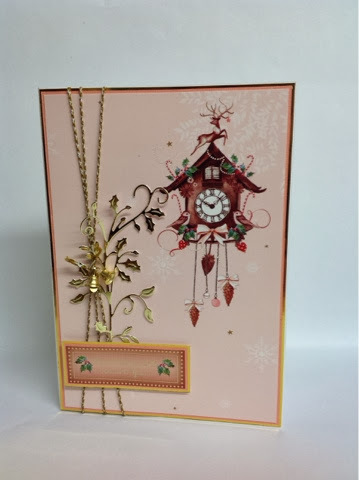 Bazzill basics - peach coloured textured card. 3 kings - tan coloured twine. Marianne die - holly & ivy die (sure it's Marianne).